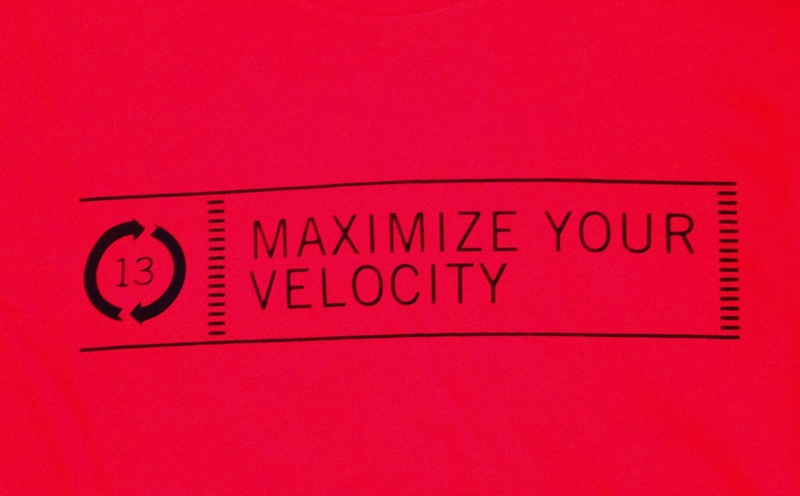 WELCOME TO THE VELOCITY SHOP! Keep scrolling for Velocity Gift ideas. Everything can be purchased in the office, online, or by calling 206-325-8773. CLASS CARDS are available in the Velocity Office or ONLINE. Class Cards are good for any drop-in class at Velocity and expire 6 months from purchase. 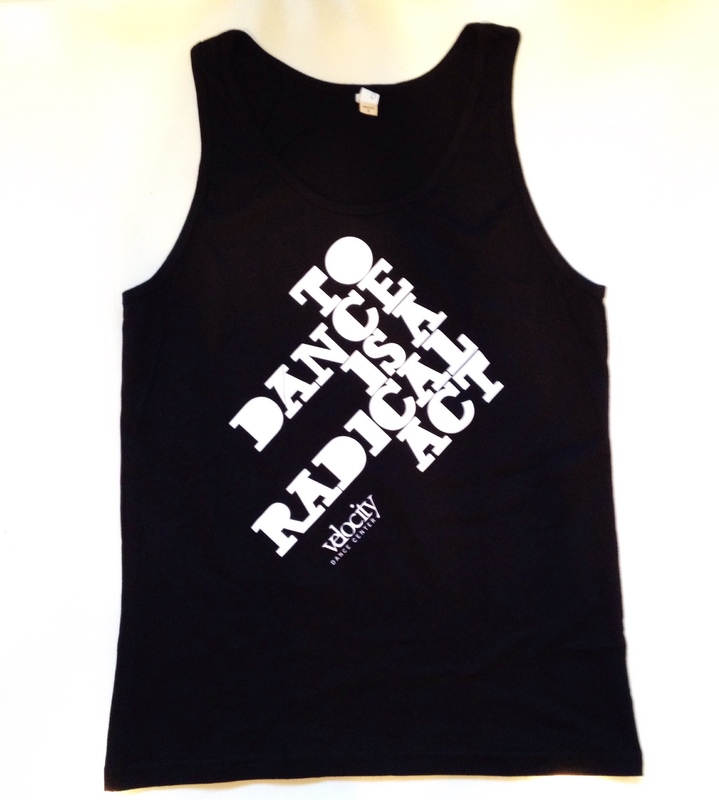 Wear your love of dance on your sleeve and purchase your Velocity tee or tank today! 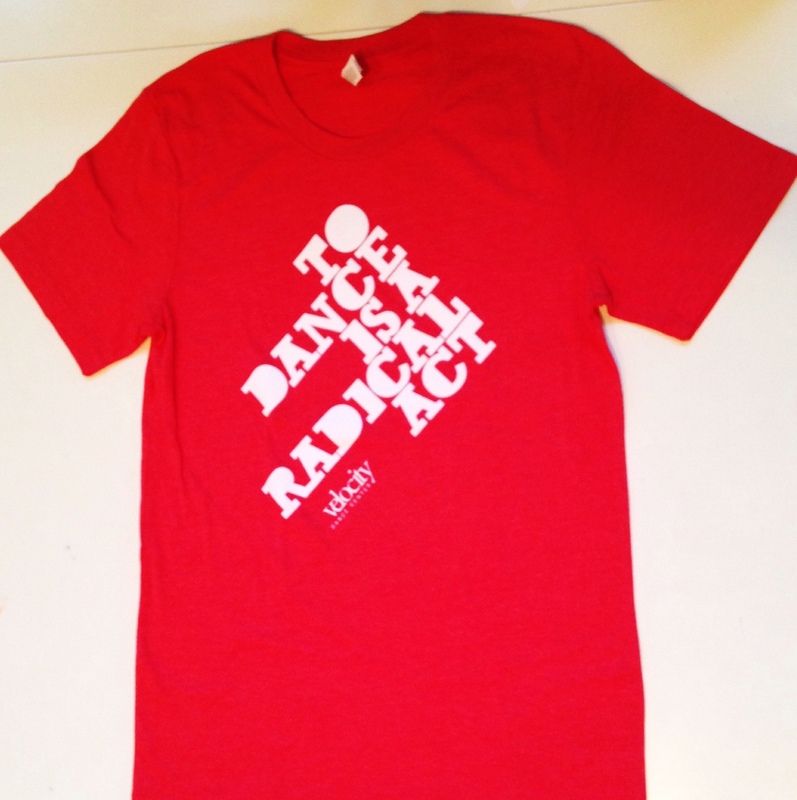 Have an artist or aspiring dancer on your wish list? Give the gift of an Artist MVP membership. For just $15 a month, all classes, tickets for performances, workshops and master classes are discounted. Members also receive special event invites, the most up-to-date dance news, and more! Learn more about our MVP membership HERE. 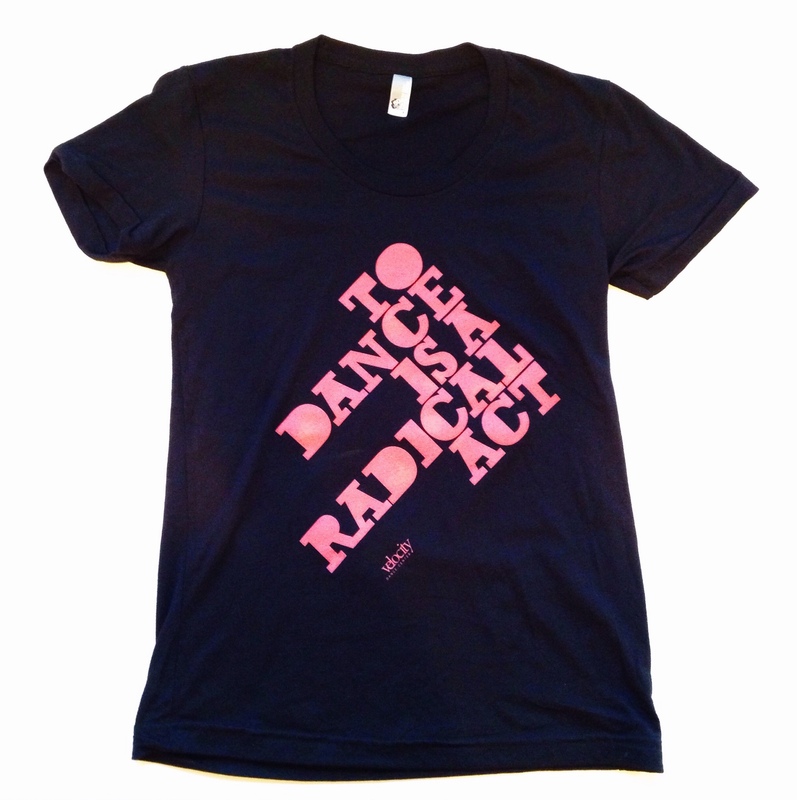 Support contemporary dance and dance making in the Northwest with a gift of any size. 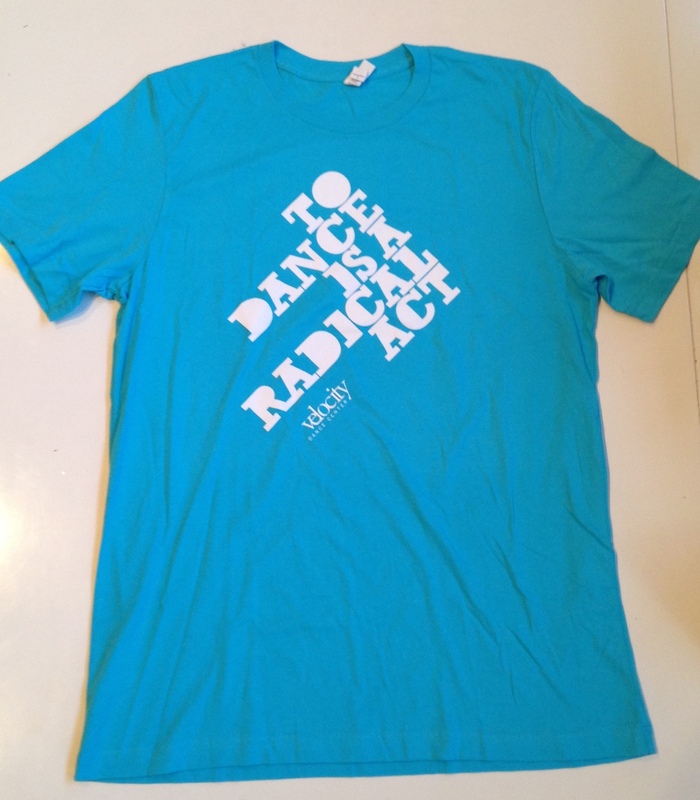 The perfect gift for the dance-lover in your life who doesn’t want any more “stuff”! Donate HERE.